If you want to indulge your sweet tooth but you are on a diet, then you could probably do with just staring at some tasty treats on the Candy Swap game. The game offers you some tantalizing sweets to look at, as well as some decent rewards to carry away, if you can. 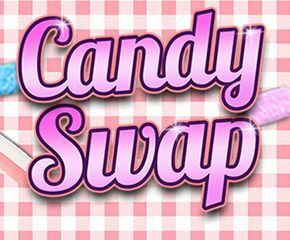 Candy Swap has been developed by Nektan Gaming, which is based out of Gibraltar. This gaming company has been making several simplistic slot games that have the basic number of features you would expect with a standard slot game, and not much more. Candy Swap has 5 reels and 9 paylines across 3 rows. All of the symbols on the reels are that of different kinds of candy, which may not be such a good idea while you are on a diet, now that we think of it. There are gummy bears, gummy colas, and other candy symbols on the reels. You can use the Stake and Lines option to place your bet so that you can then spin to see what you can come up with. The hard candy is the highest paying symbol with 1000x if you get five of them on a payline. This goes on for all of the symbols and you even have some great multipliers if you get fewer than five of the same symbol on a payline. There’s also the Candy Swap symbol that offers you 2500x your wager amount. There are some great winnings in it for you if you get any of these symbols on the reels, to be sure! Wild substitutions: The wild symbol in Candy Swap is the strawberry in the bubble. If you get these symbols, you can make a matching payline by substituting for any missing symbols. Free spins: The chocolatey circular arrow sign is the scatter symbol and getting three or more of these signs can activate the free spins round. Getting five of the spins signs can get you 40 free spins, which is a wonderful number of free spins for you to look forward to. Candy Swap has an RTP of 96.34% and offers virtually no bonus features apart from the wilds and the free spins opportunities. 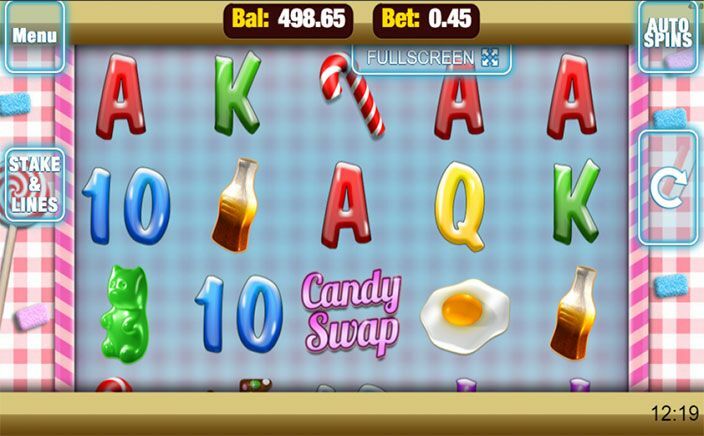 The game is great if you want to do nothing more than stare at candy all day, but if you are looking for a more generous slot game that is packed with features, it may be better for you to look at trying your hand at some other slot.